If you buy an Apple iPhone, you expect that it's yours to do with as you like, but that's not quite the case. Not only is the SIM card locked, preventing you from using your iPhone with a mobile carrier of your choice, but you can't even upload your own custom ringtones, wallpapers, or applications. When you unlock your iPhone, you are really removing the SIM lock on the SIM card in your phone so it isn't tied to one carrier. That means if you bought an iPhone from AT&T, you no longer have to use AT&T for your cellular service. Instead, you can use it with any other carrier of your choice like T-Mobile or Sprint. Jailbreaking refers to cracking open the user interface and file restrictions that iPhones come with. After you jailbreak your iPhone, you will be able to modify the UI as you please and personalize your ringtones and wallpapers. In the early days of unlocking, you had to go through incredibly convoluted steps to free your iPhone, but nowadays, there are many programs that do all the hard work for you. You don't need any technical skills whatsoever anymore. Warning: Before you get to downloading the unlocking and jailbreaking programs below, be aware that modifying your iPhone with non-Apple authorized software could damage your phone. Be sure to use iTunes to backup any important files before you start. 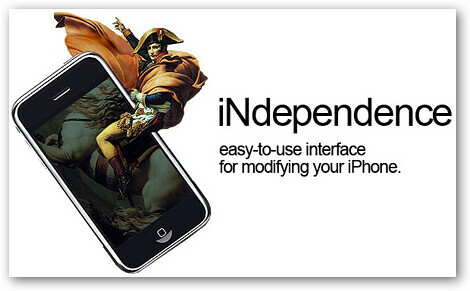 The cross-platform (Windows, Mac OS) ZiPhone is a ridiculously simple way to unlock, jailbreak, and activate your iPhone. All it takes is one-click. Version 2.5c works with iPhone firmware up to 1.1.4, and jailbreaking works with iPods too. The Mac OS X-only iNdependence lets you easily jailbreak, activate, and install applications and other files onto your iPhone. It includes the gunlock application to unlock the SIM card. Version 1.4 beta 5 works with iTunes 7.3 to 7.6.1 and iPhone firmware from 1.0 to 1.1.4. Call it jailbreaking or unshackling, but the end result is the same. The Mac-only iFuntastic leaves unlocking and activation to other applications, concerned only with letting you customize your iPhone as you like. There are various levels of features with some requiring purchase. Version 5.0.0 supports up to firmware 1.1.3.